Metropolitan State University of Denver has authorized Parchment to process and securely deliver your official online MSU Denver transcript. It's electronic, fast, and reliable! 1) Click on "Main Menu." 2) Select the "Registration, Student Records, Financial Aid, and Insurance Compliance" tab. 3) Click on "Student Records." 4) Click on "Order Official Transcripts." 5) Follow the steps to complete the request. NOTE: Before you order a transcript, make sure ALL grades have been posted for the current term. Fall semester - we will NOT print mailed transcripts from 12/22/2018 - 1/1/2019 as campus is closed during this time. Please Note: This information is required to ensure proper student matching and contact information if there are any questions on your order. We highly encourage for students to utilize Parchment for transcript orders--it's electronic, fast, and reliable! Online transcript orders will cost $10.00, whereas in-person transcripts will cost $15.00. If you would like to receive a transcript in-person, please visit us! 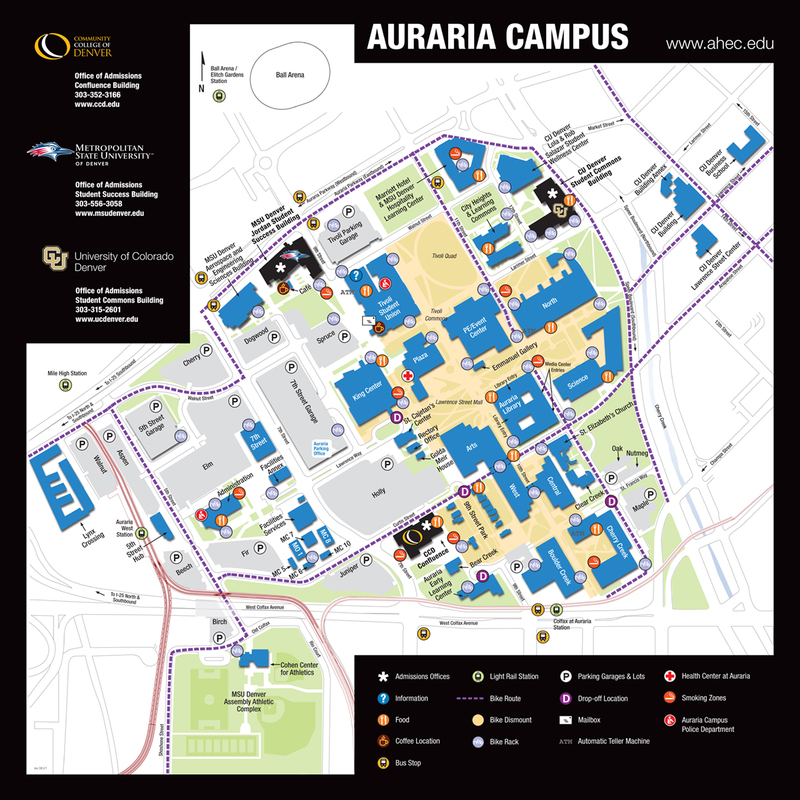 Find our location on our Campus Map! Q: How much does a transcript cost? A: Transcripts are $10.00 each. If you want a transcript sent by FedEx Express, an additional $13.00 charge will be applied to your account balance. Q: Can I include other documents with my transcript? A: Yes, during the ordering process, you will have the opportunity to upload any documents. For mailed transcripts: If you are submitting transcripts to a college application service (e.g. NursingCAS, PharmCAS, or AMCAS), you are required to upload your transcript matching form. Your transcript matching form will be attached along with your MSU Denver transcript. For electronic transcripts: You will be prompted to enter your CAS ID number and do no need to upload the form. Q: Can I order a transcript if I have a hold on my account? A: Transcript Orders with unmet obligations to MSU Denver will be cancelled. You will be notified by email and your credit card will not be charged. Such obligations may include unpaid bills, Health Center fees, or failure to complete an exit interview for student loans. Contact the Bursar’s Office, 303-615-0070, to resolve the hold prior to ordering transcripts. Q: Can I get an unofficial transcript? A: *Active MSU Denver students may access a transcript report through their Student Hub. All other students must request a transcript through Parchment. All Parchment transcript orders are considered official. *An active student is one who has been enrolled within the last 3 consecutive semesters. Q: How do I download/save an electronic transcript? A: Electronic transcripts are certified with a digital signature and other security features, and must be opened with the most recent version of Adobe Reader or Acrobat. Get Adobe Reader for free. Download eTranscripts Ordered from Your School (Mac and Linux) - All Macs have a built-in PDF viewer application called Preview. Preview will not open a Certified PDF document correctly. The user must use Adobe Reader or Acrobat. Q: What if I am a third-party requesting for a transcript on behalf of a student? A: All transcripts must be requested by the student; please work directly with the student to make arrangements to order transcripts online via Parchment or in-person. Q: I forgot the password I used to sign in, how can I reset my password? A: On the Log In screen, please click on "Forgot your password?" Input your email address and complete the security check. An email with directions on how to reset your password will be sent, follow steps on the email. Q: If I am having trouble with ordering transcripts, who should I contact? A: Contact the Office of the Registrar: 303-556-3991 or regquery@msudenver.edu.